With walls built as tall as 50 feet, this collection has set the standard, since 1989. With different shapes and setbacks available, you have many design options. Colors available are Gray, Tan, Tan Charcoal, Brown Charcoal or Gold Brown. The antiqued weathered appearance of Roman Stone is a great alternative to expensive natural stone products. Roman Stone is available in seven unique blended colors designed to compliment our standard paving stone lines. Beautiful landscapes are made easy with this antiqued, multi unit, premium product. This is the ultimate prefered choice of Design Professionals. 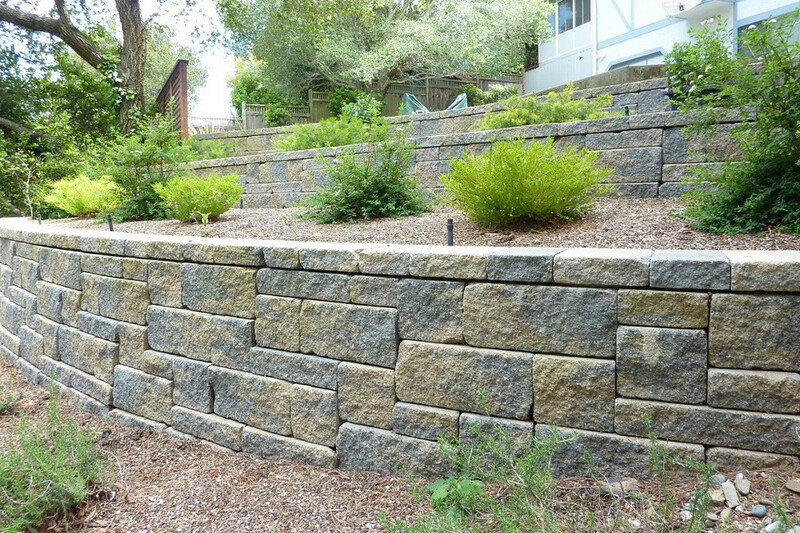 Country Manor offers the appearance of rustic, hand-laid stone walls with the strength and ease of installation provided by Keystone’s proven pin connection system. With three finished sides on each unit, Country Manor offers almost endless design possibilities.